New York, New York, February. 1st, 2018 - Collaboration Squared, a global cloud collaboration and conferencing service provider, today announced the launch of the next generation of their award-winning Ubiety cloud bridging service powered by Cisco Meeting Server technology. 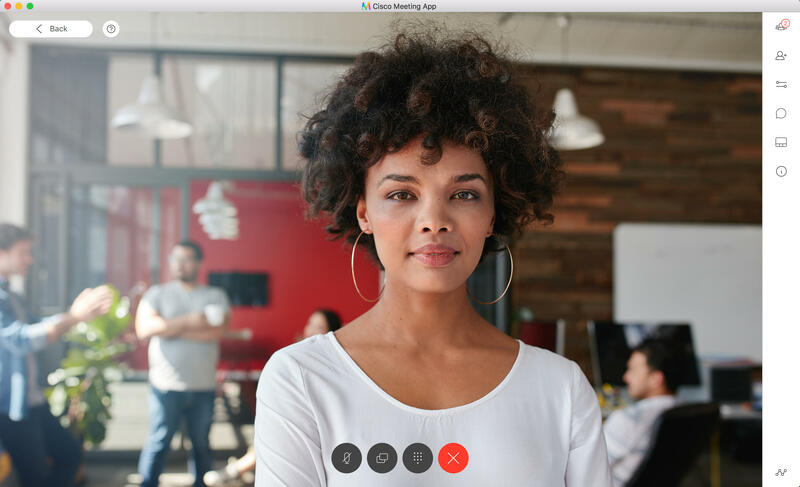 This release includes a complete redesign and simplification of the in-meeting user interface to deliver the highest quality, most immersive and natural video experience when joining from any platform of choice.... Cisco Meeting app, WebRTC, SIP/H323, Cisco Spark, Cisco Jabber, Microsoft Skype for Business, plus global access phone dial in. And an important new addition is the One Touch Scheduler. By means of a simple Microsoft Exchange or Google calendar integration it delivers the ability to add one-click join meeting capability to Cisco and Polycom endpoints to Ubiety calls, any other SIP address or any Skype for business meeting that has been added into a calendar invitation. Therefore, making it extremely easy for end users to join all types of video calls from meeting room video conference endpoints. This integration works automatically by simply adding the meeting room resource to the calendar appointment or forwarding the invite to the meeting room email address at any time including if the meeting time has started. This will then publish the SIP URI information to the Cisco or Polycom endpoints diary and present the green join button. For Cisco video conference endpoints specifically, Ubiety now natively supports "ActiveControl" capability for full Ubiety meeting participant list access, muting controls, and layout controls directly on the Cisco endpoints user interface with native on-screen notifications for joiners/leavers. 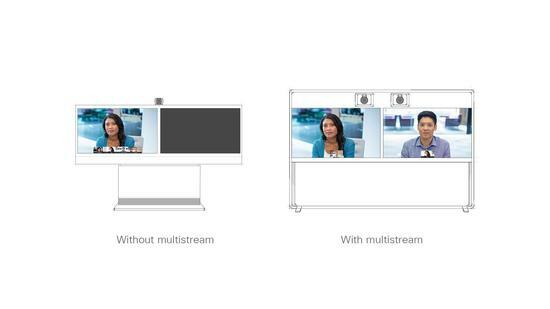 Most importantly for any supported dual screen Cisco endpoint, Ubiety now includes dual screen video participants split across both screens using Cisco's groundbreaking "Multistream" protocol. This makes the user experience the most immersive and fully democratizes multiscreen video conferencing for the masses in the highest quality available. Ubiety has also updated their pricing models to include unlimited hosts for all plans. Meaning customers no longer have to clock watch per host utilization, or worry about hard stop capacity limits, and customers can assign host accounts to everyone in their organization without additional per host cost. 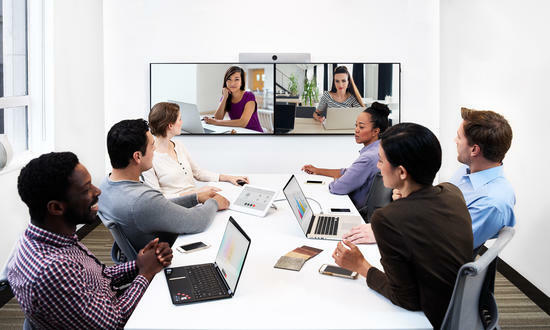 Daryl Hutchings, CEO of Collaboration Squared states, "We have a deep belief that highest quality video conferencing experience can improve human connection and relationships across remote sites. We are excited to evolve Ubiety to be even higher quality, more immersive and easier to use than ever before. We also wanted to dramatically adjust our pricing model to give every organization the ability to deliver video collaboration to every person in the company, not just those deemed worthy at a cost center level." "Solving the problem of joining meetings quickly from meeting room video systems is a huge pain point. Giving users a simple button to click to join meetings changes this experience dramatically starting any meeting type instantly, removing stress and increasing satisfaction levels. Ultimately means less work for IT to manage"
Collaboration Squared is a global conferencing and collaboration service provider with offices in New York, London, Singapore and Sydney. As a collaboration specialist offering Ubiety the cloud collaboration platform that takes interoperability of video conferencing, web collaboration and phone conferencing to an unprecedented new level, with a simplified intuitive user interface and now Cisco collaboration endpoints and Cisco Spark service delivering messaging, meeting and calling from the cloud to organizations of any size. 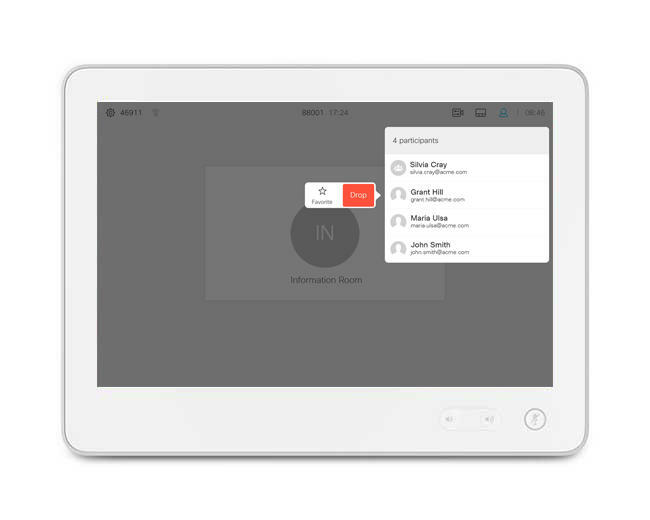 For Cisco video conference endpoints specifically, Ubiety now natively supports \"ActiveControl\" capability for full Ubiety meeting participant list access, muting controls, and layout controls directly on the Cisco endpoints user interface with native on-screen notifications for joiners/leavers. Most importantly for any supported dual screen Cisco endpoint, Ubiety now includes dual screen video participants split across both screens using Cisco's groundbreaking \"Multistream\" protocol. This makes the user experience the most immersive and fully democratizes multiscreen video conferencing for the masses in the highest quality available. 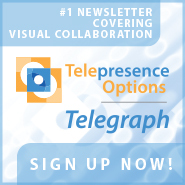 Daryl Hutchings, CEO of Collaboration Squared states, \"We have a deep belief that highest quality video conferencing experience can improve human connection and relationships across remote sites. We are excited to evolve Ubiety to be even higher quality, more immersive and easier to use than ever before. 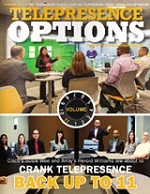 We also wanted to dramatically adjust our pricing model to give every organization the ability to deliver video collaboration to every person in the company, not just those deemed worthy at a cost center level.\"
\"Solving the problem of joining meetings quickly from meeting room video systems is a huge pain point. Giving users a simple button to click to join meetings changes this experience dramatically starting any meeting type instantly, removing stress and increasing satisfaction levels. Ultimately means less work for IT to manage\"